Finals are right around the corner for me, so I haven’t had a lot of time to write blog posts. But thinking about tests and transcripts, I remembered Mr. Bone from one of my favorite childhood cartoon series, Doug. I was in my Statistical Mechanics class and overheard some students talking about grades, finals, and transcripts, and that reminded me of how Mr. Bone would always threaten students that he’d leave bad marks on their PERRRMMMMANANENTTT RRREEECCOOOORRRDDD! I actually found one of the episodes I was thinking of on Youtube! Everything is on there these days. I can’t believe I used to watch these cartoons twenty years ago. Am I really getting that old? There’s a new game coming out in just a few days that I’m really excited about. It’s a fairy tale where all the game’s art is like an interactive water-color painting. 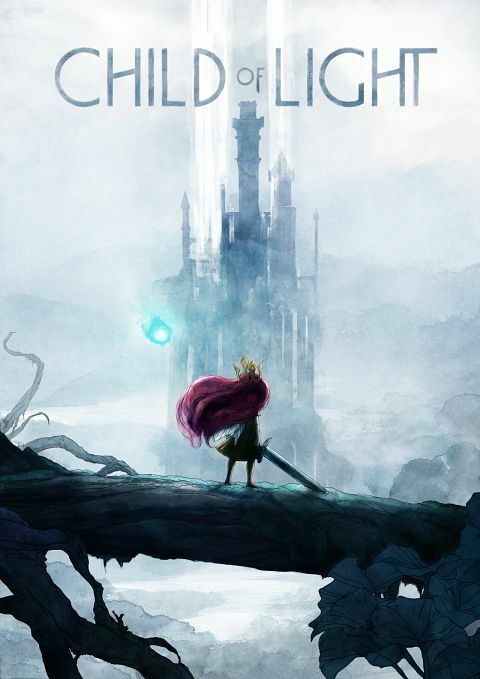 The light of the world has been captured by the Queen of the Night, and you play the role of a small girl named Aurora who must bring the light from the sun, moon, and the stars back into the world. You’re accompanied by several friends, one of which is a small firefly who helps light your way. Here is a video of a person playing the game. It looks amazing. I’m sorry I haven’t had time to post anything new this week. The past two weeks, I’ve been totally immersed in my studies, preparing for exams. I will share a little something though. Since my last post dealt with how the laws of physics are embedded in the fabric of space-time, I wanted to also talk about the holographic principle. Many physicists are coming to the conclusion that our universe is a projection from a two-dimensional surface found on the edges of a black hole. This video describes it all, so you can just watch it if you’re interested. We’re all “moving” through this eternal “loaf” of space-time which includes all of the past and all of the future. It all exists. It’s always existed and always will exist. You and I are eternal. This moment is eternal. Our world is eternal. Nothing is ever destroyed or gone. It’s all pre-written on these eternal holograms which we as conscious beings somehow navigate through. I’ve always wanted to help describe these aspects of general relativity to people, but couldn’t think of a way to do it. Thankfully this TV program does it perfectly with all these awesome 3D graphics. Check out this next video! What puzzles me is how there’s so many “extra” frames written into this hologram of space-time which I don’t experience. I talked about this is in a recent post, so I won’t go into it again. Consciousness comes in and out, in and out, as it makes it way through this eternal loaf which has so much information, I can’t seem to experience it all. Not at once anyway. I feel quite certain I’ll spend the rest of my life thinking about these things. If “life” will just leave me alone, I can get back to my research into general relativity and quantum field theory, learning more about all of this stuff. The other day Alexey emailed me, wondering why physics textbooks never explain why the laws of physics are the way they are. They give us these mathematical expressions but why those as opposed to something else? It all seems so arbitrary. In computer simulations, the code is written by a programmer who determines the rules for how things behave. The universe works differently. Its code is embedded and runs within the fabric of space-time. The properties of this fabric determines the “code” and rules for how things behave in that that universe. Space-time seems to be a fabric composed of tiny vibrating pieces of energy “strings” which extend into multiple dimensions. Depending on how this fabric is curled and scrunched up, energy will “pulse” through it differently, giving rise to different forces, types of particles, and all the laws which run that universe. This fabric is very pliable and it is capable of producing nearly an infinite number of different universes. Stanford professor Dr. Leonard Susskind compares this fabric and how it’s curled up to DNA. In biology, different DNA sequences give rise to different types of organisms. Within each cell of a living organism’s body, you can find a copy of their DNA code. In the same way, if you examine the properties of super tiny patches of this space-time fabric, its bending and folding is a sort of DNA sequence for that universe. This fabric contains a lot more than just our universe. It contains many other universes as well. They’re all tied together in this common fabric, just like bubbles are in a champagne bottle. Unfortunately the scale of these bubbles is so massive, there’s no way we could travel between them. So Alexey’s question gets more complex. If this fabric can bend and fold in all these different ways, why is each area of space-time within our universe so uniform in every direction? If the bending and scrunching was different throughout our universe, you’d have different laws of physics within different areas of space and time. Time would flow differently, different types of particles with different masses would exist in different areas of space, some areas would have stars and galaxies, other areas would not, etc. The “laws” could also change over time as well. How come this doesn’t happen? It turns out that our entire universe originates from a very tiny patch of this space-time fabric which was blown into a huge bubble. Since it all originates from a small uniform patch, our universe is pretty uniform overall. If you look at all the stars and galaxies from a “birds-eye” perspective, they’re spread throughout space very evenly. The fabric is bent, curled, and scrunched in pretty much the same way throughout our universe, hence the “laws” of physics are the same everywhere. There’s a lot more to say about this sort of thing, but I better stop now before I get way over my head. I still have a lot to learn about this stuff myself. You’ll find courses on Classical Mechanics, Quantum Mechanics, Special Relativity and Electrodynamics, General Relativity, Cosmology, Statistical Mechanics, Quantum Entanglement, Particle Physics (3 courses), and String Theory. If you’re interested in learning some deep physics, you should check it out!